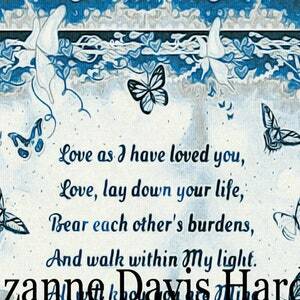 MUSIC INSTANT DOWNLOAD: Digital Paths Of Hope Peaceful Prayer Songs~Volume 1 © ℗ 2017 Suzanne Davis Harden All Rights Reserved. 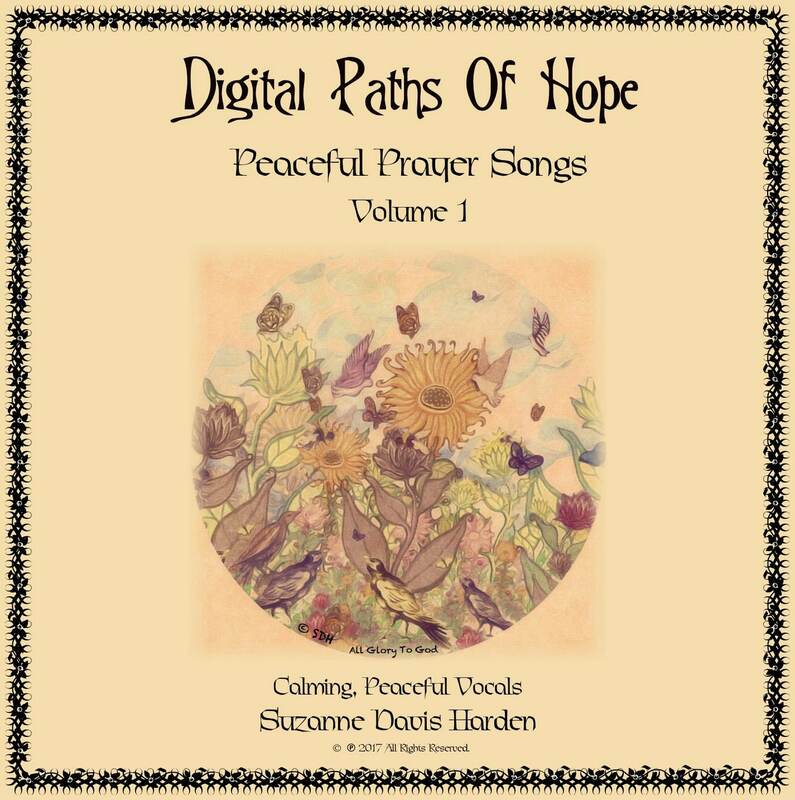 Volume 1, Digital Paths Of Hope Album is an MP3 release of my recent Path's of Hope Peaceful Prayer Songs Album, featuring 5 peaceful, comforting tracks from my original recording. 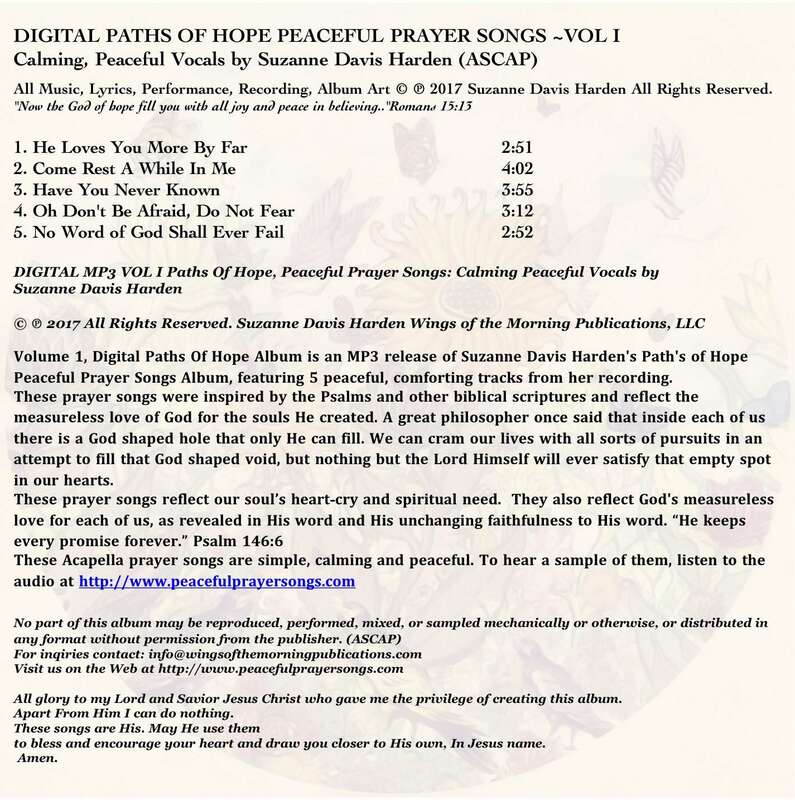 These prayer songs were inspired by the Psalms and other biblical scriptures and reflect the measureless love of God for the souls He created. The great philosopher Blaise Pascal, formulated the concept in his book Pensées VII (425), that inside each of us there is a God shaped vacuum that only our Creator can fill. We can go about trying in vain to fill our lives with all sorts of pursuits in an attempt to fill that void, however, nothing but the Lord Himself will ever satisfy that empty God shaped hole in our hearts. 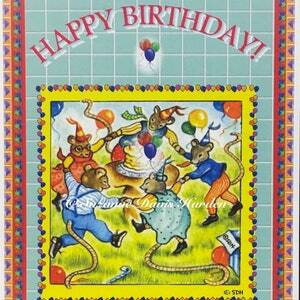 *See Photos for more information. 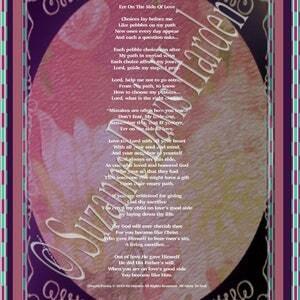 Your digital files will be available for you to download once you have made your purchase with Etsy. Once you have downloaded your files, you can then export them to your Amazon, Google, or Itunes Music library or wherever you store your mp3 music files. You will then be able to play your new music on your Ipod, Iphone, mobile device, computer, or any other type of device that is capable of playing the mp3 audio files. 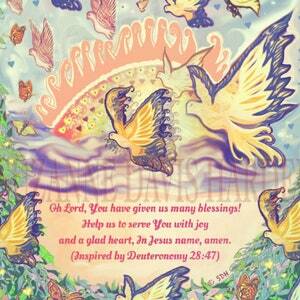 Wings Publications Digital Downloads Are Available Worldwide. Please note: NO PHYSICAL PRODUCT WILL BE SHIPPED TO YOU.